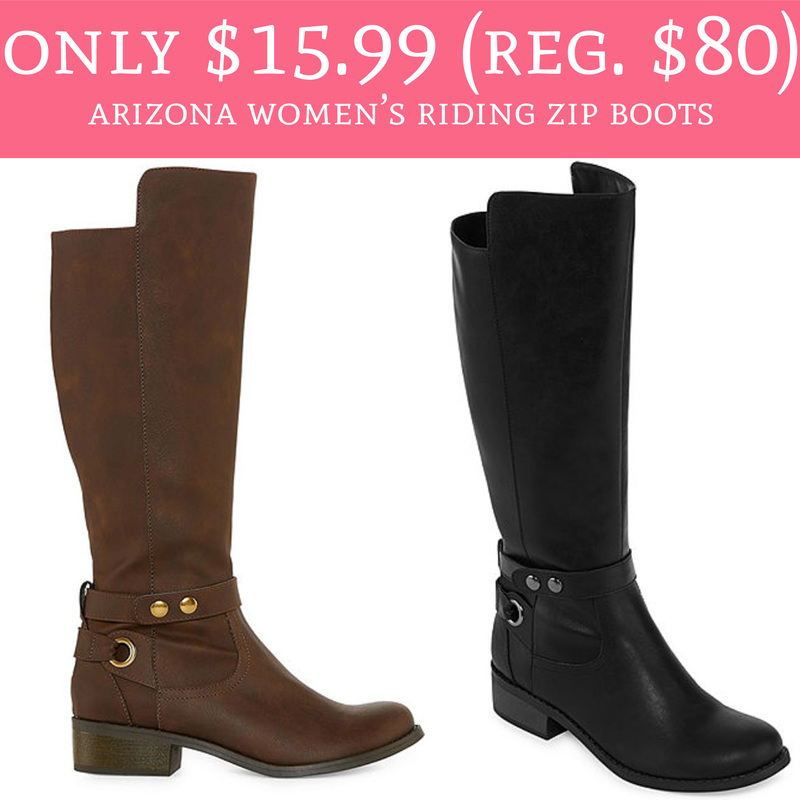 Head on over to JcPenney.com to score Arizona Women’s Riding Zip Boots for just $15.99 (regular $80). The boots are currently on sale for $19.99 each and use promo code HOLIDAYS to receive an extra 20% off to make each pair just $15.99. Choose pick up in store to avoid shipping fees or spend $49 for free shipping. Order yours here!